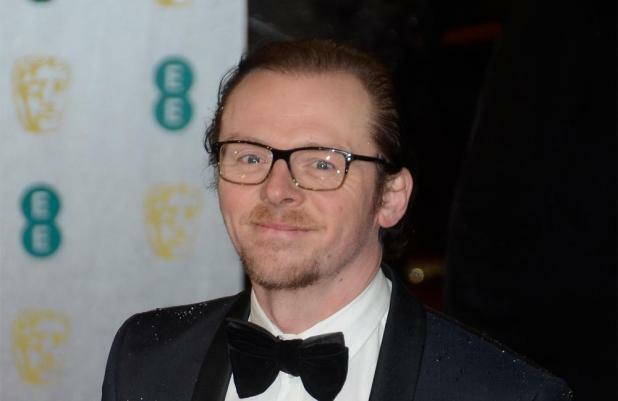 Simon Pegg hopes J. J. Abrams doesn't forget about "Trekkies" fans while he directs 'Star Wars: Episode 7'. The British actor plays Scotty in the filmmaker's upcoming feature 'Star Trek: Into Darkness' and while he thinks Abrams is the "perfect choice" to helm the rival franchise's next film, Simon prays he won't forget about his original fan base. When asked by Absolute Radio whether he thinks both clans of fans will unite because of J. J. 's move, Simon replied: "Yeah, I guess so. I mean, I don't know how separate they've always been. I mean, it tends to be a bit of both. "There are some people like us that just kind of like stick to one thing and don't want to do the other, but you know, J. J. is the perfect choice for that job and I just hope he doesn't forget us Trekkies in the corner." The whole cast of 'Into Darkness' - which also includes Zachary Quinto, Benedict Cumberbatch and Zoe Saldana - have been sworn to secrecy over the script and Simon insists it is because they want to "protect" the story so the fans will be surprised when they watched the finished piece. He continued: "We're just trying to protect the film, you know. We seem to be up against a continual barrage of people trying to spoil it so we're just trying to protect it. "And then everyone says, 'Well, why can't you tell us?' 'Well, it's because we want you to enjoy it when you see it.' So that's it."